So I’m married to a dentist, which means we really try to limit the amount of sugar we give to our kids. Let’s be honest, we’re reallllly bad at it. Okay, I’m bad at it. I give my kids far too much sugar, especially on the holidays. 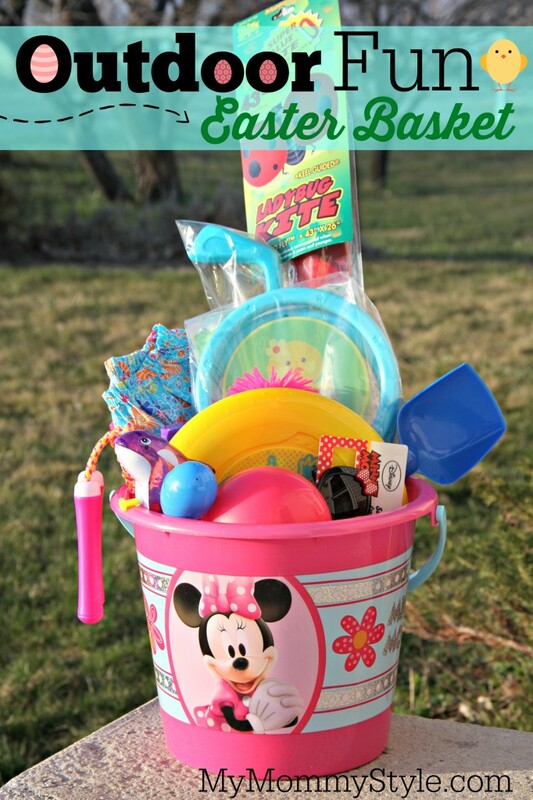 With Easter right around the corner, I love the idea of giving them a basket full of fun things instead of treats. I have a fun round up of candy-free Easter basket ideas to share with you today. If you’re looking for non-candy related goodies for an Easter basket, look no further! Here is my roundup of candy-free Easter basket ideas. I’m going to first show you this outdoor fun Easter basket I put together for my daughter. I love that it is starting to warm up around Easter, it’s the perfect time to get out enjoy the beautiful weather. I decided to get her a bucket that she could continue to play with after Easter instead of a basket and filled that with fun things for her to play with or wear outside. There are hundreds of different options for an outdoor Easter basket. Some of my other ideas were: sand toys, pin wheels, sidewalk chalk, pool toys, rockets, bug catchers, hula hoops or water toys. The sky is the limit! I also filled some plastic Easter eggs with water balloons and bouncy balls. Here is an adorable baby girl basket from Whatever Deedee Wants. What a great time to add to your library with this bedtime stories basket from Mother’s Niche. My kids would love this gardening Easter basket from the Elephant of Surprise. How sweet is this alphabet basket from Confetti Sunshine? Love it. Go classic and fun with this Peter Rabbit story time basket from Live Like You Are Rich. 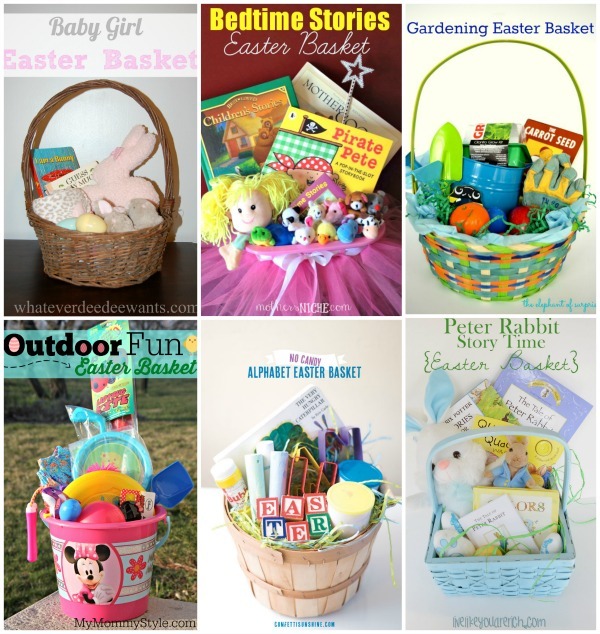 I hope this helps you find some new fun ideas for your baskets! What are your favorite things to put in Easter baskets for your kids?